Get the tools, techniques, understanding, and perspective needed to assume the mantle of “Agile Coach” with eagerness and certainty. In this course, you will clarify what you are fundamentally trying to accomplish as an Agile Coach and how to go about achieving it, each step of the way. 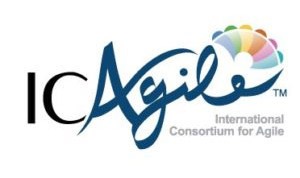 The ICP-ACC is one of two knowledge-based certifications on the Agile Coaching track. The certification focuses primarily on the mindset, roles, and responsibilities of an Agile Coach. Our course is true to the ICAgile learning objectives and intent, and brings them to life for you. You will have the opportunity to examine and take ownership of each of these coaching elements in action-oriented and pragmatic terms, and be able to apply them as an integrated competency to achieve a coaching purpose. You will, for example, be able to differentiate between and among mentoring, facilitating, professional coaching and teaching, and will also gain the skills needed to create a safe environment for meaningful collaboration and healthy conflict resolution within an agile team. This course introduces you to foundational team coaching skills and team development concepts; the skills needed to initiate a successful coaching engagement and to start, nurture, remedy and establish high performing, self-managed teams, viewing them and their surrounding organization as human systems. A key part of this certification focuses on developing an understanding of the professional coaching skillset and the value of honing these skills to serve individuals on an agile team. We expect this course to kindle or affirm, and to nourish your life-long learning. We will provide you a seamless foundation of definitions, relationships, viewpoints, skills and techniques that you will be able build upon or orient from for some time to come, regardless of what skill and experience level you have already achieved. Truthfully, you will take as much as we will provide, for as you would expect the course will be highly collaborative. It will apply many of the tools and concepts from the course itself to help you look at, consider, practice and achieve your own certainty on everything presented. Come learn with us. We look forward to seeing you in our next course. This is highly immersive, participatory, and ‘roll up your sleeves’ kind of workshop, to take you on a very thrilling and satisfying journey of becoming an Agile Coach. Filled with lots of activities, games, and group discussions, this workshop provides you the perfect lab to practice and learn the essential tools, techniques to launch your career as an agile coach. Sign up if you want to learn from those who are actually practicing agile coaching. Let us help you unleash the best in you! Experience an immersive adventure in business coaching specifically designed for the lean-thinking Agile Coach. You will learn a practical, real-world framework designed to assist you in your coaching practice as you guide your teams and organizations in their Agile journey of discovering purpose, proficiency and skillful practice. Why Attend the Agile Coaching Intensive™ training course? 5 days = 2 certificates = Endless possibilities for you and your organization Elevate your coaching abilities and ensure the success of your organization! The Agile Coaching Intensive™ features two great certifications combined into one 5-day program. During this interactive, hands on and highly practical series of workshops, we will cover and galvanize the values, principles, and practices of the ICAgile Agile Team Facilitation (ICP-ATF) and Agile Coaching (ICP-ACC) certifications. What will you gain? ICAgile Agile Team Facilitation (ICP-ATF) and Agile Coaching (ICP-ACC) certifications Both courses have been approved by the Scrum Alliance for Scrum Education Unit (SEU) credits. Thus, you may claim up to 40 SEUs that will count toward your advancement to other career levels within the Scrum Alliance hierarchy. Furthermore, because these courses include key elements of Project Management and Agile, those who are PMI certified PMPs and PMI-ACPs can also claim up to 40 PDU credits for attending our course. Course Structure: This course is interactive, hands on and technical The course follows the knowledge-based certifications on the Agile Coaching Track. The ICP-ATF (Agile Team Faciliation) is one of two knowledge-based certifications on the Agile Coaching Track. The coursework focuses primarily on the mindset and role of an agile team facilitator, while also providing group facilitation tools and techniques for effectively designing meetings and workshops that both engage the entire audience and drive towards agreed-upon outcomes. Through obtaining this certification, the learner will develop an appreciation for the art of facilitation as key to fostering collaboration and enabling self-organizing teams. In addition, participants will build their facilitator toolkits and gain experience facilitating specific agile practices most relevant to their organizational context. The ICP-ACC (Agile Coaching) is also one of two knowledge-based certifications on the Agile Coaching track. The coursework focuses primarily on the mindset, roles, and responsibilities of an Agile Coach. After finishing the certification, the learner will be able to differentiate between and among mentoring, facilitating, consulting, teaching and coaching, and will also gain the skills needed to create a safe environment for meaningful collaboration and healthy conflict resolution within an agile team. This certification introduces participants to foundational team coaching skills and team development concepts for starting and growing teams while focusing on teams and organizations as human systems. A key part of this certification focuses on developing an understanding of the Professional Coaching skillset and the value of honing these skills to serve individuals on an agile team. The Agile Coaching Intensive™ Course is a five-day class. The class starts at 8AM and ends at 5PM.